Clare County is a Gateway to the North with hundreds of miles of Snowmobile Trails and ORV Trails. 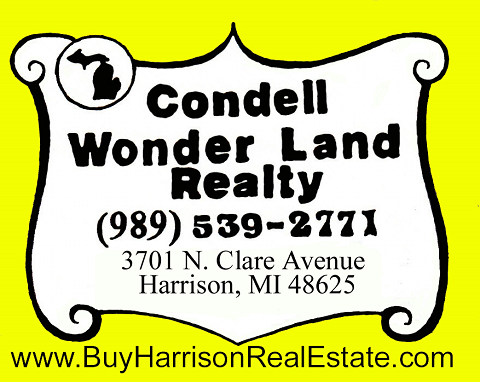 Condell Wonder Land Realty is happy to provide you with the below maps and information. Access to extensive Off Road Vehicle trails can be found in northern Clare County. The Leota ORV trailhead is a Michigan DNR managed trailhead that provides access to over 55 miles of ORV trails for large ORV’s and hundreds of miles of trails that can be accessed by quads or smaller traditional ORV’s. Proper licensing is required of all vehicles using these trails or parking at the trailhead. A map of the trails can be found below. In southern Clare County snowmobiles are allowed winter-access to the Pere Marquette Rail-Trail. This trail access extends westward from the Clare Moose Lodge trail head and links to the White Pine trail at Reed City. Eastward travel from Clare for snowmobiles is not permitted. The county offers extensive Off Road Vehicle trails. The Michigan DNR manages 55 mile of ORV trails for larger ORV’s and hundreds of miles of trail that can be accessed by quads or small traditional ORV’s. Snowmobile trails have not been left out, Clare County the Fur Farm snowmobile trail which starts just north of the city of Harrison and joins up with the Leota Trail. To obtain information on regulations, proper licensing of ORV vehicles or rules of trail usage can be found Michigan Department of Natural Resources at : Harrison Operations Service Center ( 989) 539-6411.